USDA Organic, gluten free, non-GMO, and Kosher with no artificial colors, preservatives, antibiotics, or synthetic hormones. This healthy fat is a 50/50 blend of Organic Grass-fed Ghee and Organic Virgin Coconut Oil. This is truly a delicious, powerfully nutritious natural cooking and baking blend that we think you'll love. The blend of oils makes Coconut Ghee ideal for higher-heat cooking. Use it for baking, sauteing, stir-frying, and more. It adds delicate, exquisite flavor to all of your favorite foods and recipes without an overpowering coconut flavor. Enjoy the essential health benefits of coconut with this deliciously smooth, buttery spread. Pleasantly aromatic and delightfully balanced, it has a slightly sweet coconut taste and a texture that melts on your tongue. Radiant Life Coconut Spread is organic and delicately handled, resulting in a product unlike any other. Enjoy it mixed with other nut butters, on apples or celery, whipped into a frosting or added into your favorite sauces. Once Again Organic Sunflower Seed Butter is as nutritious as it is delicious. A two-tablespoon serving contains 170 calories, 5 grams of protein, and 3 grams of dietary fiber, making it a slightly lighter choice than almond or peanut butter. The recipe contains a small amount of organic cane sugar and only 8 grams of carbohydrates per serving. NATURALLY EXTRACTED: Nutiva’s all-natural cold press extraction process yields a pure, nutty-tasting, nutrient-rich oil that's high in omega 3 fats and antioxidants without the use of dangerous and harmful chemicals, hexane, or heat. We’re on a quest to improve people’s health…through coffee. Toxins in food and the environment, to stress and lack of work-life balance can make us sick–and often we don’t know why. With so much conflicting information out there about what we should be eating to achieve better health, the decision process can be confusing and overwhelming. It often causes people to just throw up their hands and give up. Habit change is hard. And even when we do make changes, we often don’t know whether or not they’re helping or causing us more problems. Amazing farm fresh eggs available locally in Bloomington/Normal. So good! - Dates contain a wide range of trace elements like boron, cobalt, copper, fluorine, magnesium, manganese, selenium, and zinc! - Dates are an excellent source of energy, and are great for pre or post workout. One of my favorite chocolate bars. I love the Salted Almond 70% dark. So good! This is another brand of Chocolate I love and love what they represent. A link to their certifications document as well. Meet Lily’s, delicious, no-sugar-added chocolate that delivers the goods. It’s the kind of chocolate so good that people obsess over it – and we’re talking fitness-loving, healthy-eating, overly-critical-Yelp-review-writing people. So stop thinking of chocolate as a guilty pleasure and start thinking about it as an everyday indulgence. Because now, you can. 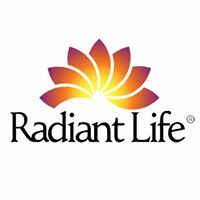 Radiant Life - I use this company for coconut flour and coconut spread. I am curious about the water systems they have. Ancient Wisdom for Modern Health. Our passion for health, wellness and nearly all areas of our life, begins with nutrient dense food prepared in our kitchen from the best organic and all natural products." Radiant Life Coconut Flour is an incomparably unique and tasty alternative to wheat and other grain flours. Gluten free, it is has a distinctive nutrient and fiber composition that sets it apart from more commonly seen rice, soy, nut, potato and corn based flours. It is lower in digestible carbohydrates and higher in beneficial protein than alternatives, making it a robustly healthy choice for cooking and baking. Our minimally handled coconut flour leaves vital stores of beneficial lauric acid and manganese intact, providing you with a taste of the natural goodness of a raw coconut. Soft and full in texture, it adds a subtle sweetness to baked goods and is easily substituted into favorite recipes without additional thickeners. You can read more about the health benefits of coconut flour here. PLANT-BASED NUTRITION: 7g protein per serving, an excellent source of antioxidants, micronutrients such as Magnesium, Zinc, Copper, Manganese, and Phosphorus, and a good source of Iron. PERFECT SNACK FOOD: a tasty alternative to nuts for plant-based protein and energy; great in trail mixes, as an on-the-go snack, and eaten right out of the bag. SIMPLE ORGANIC INGREDIENTS: made with only 2 simple ingredients; also non-GMO, gluten-free, nut-free, dairy-free, soy-free, vegan, and kosher. MINIMALLY-PROCESSED: seeds are sprouted and gently dried—never roasted or fried—which gives them a light, crunchy texture and great-tasting flavor. We started Thrive Market because we knew what food could be: made of real ingredients, kind to the environment, reasonably priced, catered to our needs, and delicious. Thrive Market is what food used to be, the food we’d been looking for all along. Picked by values, priced without unnecessary layers, and delivered to you for free. At One Degree Organic Foods, we believe in the connection between healthy soil, healthy crops, and healthy people. We believe in clean, nourishing foods. And we believe that you deserve transparency in those foods. That's why we've created tracking technology that gives you the power to meet the farmers and producers behind every ingredient - just like a farmers' market. Cahokia white rice is a long grain rice that has excellent appearance and cooking qualities. The Cahokia rice is identity preserved throughout the production process on the farm and in the mill. This ensures the rice that ends up on your table will be uniform in appearance and texture creating a visually appealing white rice, light & fluffy with a creamy texture. Legit Bread was developed by Jennifer Robins, who after giving up gluten and then grain, realized how inauthentic paleo and allergen friendly bread options were. She locked herself in her kitchen, refusing to come out until the loaf was legit. Shared as a recipe on her blog, and in one of her cookbooks, she realized her work wasn't done until she could put her sought-after recipe straight into the hands of those who needed and adored it. I personally love that they have so many organic nuts and dried fruits that I can order. They have Organic Almond Flour too. And their customer service is amazing. Highly Recommend them! Nearly eighty percent of the fat in organic macadamia nuts is the heart-healthy monounsaturated kind which may help lower LDL "bad" cholesterol levels. They are also a rare source of palmitoleic acid, a monounsaturated fatty acid that can improve fat metabolism and aid in weight management. 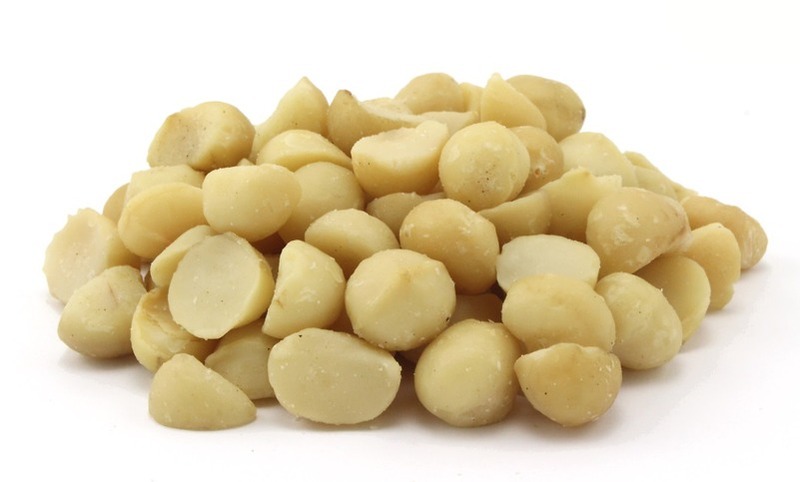 Raw organic macadamia nuts are rich in protective antioxidants like vitamin E which prevent cell damage caused by free radicals and may lower the risk for chronic conditions like heart disease. High in protein, dietary fiber, and minerals like calcium, iron, and potassium, macadamia nuts are a healthy addition to your diet! Large and moist, these organic Medjool dates are a real treat. Medjool dates are naturally flavorful, low in fat and high in potassium for a healthy way to satisfy a sweet tooth. These dates are huge and ideal for snacking; just remember to remove the pits first. The fruits can also be used to make energy bites or raw desserts. Our organic Medjool dates are certified by CCOF. Organic all natural raw pecan pieces are the finest quality pecan pieces you’ll find. Made from domestic pecans grown without chemicals or pesticides. Use organic pecan pieces for baking cookies or brownies, as a topping for pancakes or waffles, or even ice cream. Also comes in handy for baking a homemade pecan pie. Here at Northwest Wild Foods we are dedicated to bringing you the finest organic berries around. We grow most of our organic berries here in the fertile soil of the Pacific Northwest. We have tried fruit from across the globe and we honestly say the Northwest grown berries are the best in the world. All of our organic berries are flash frozen on harvest day to lock in the exceptional flavor and nutritional benefits of the fruit. 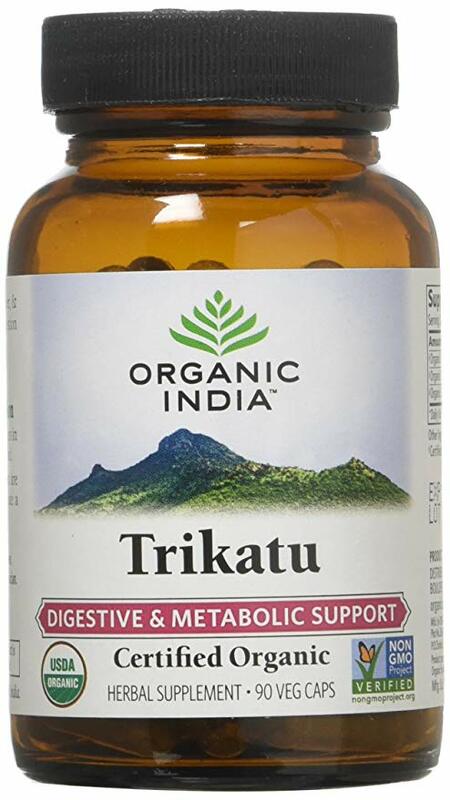 USED IN AYURVEDIC MEDICINE TO STIMULATE "AGNI" - Ayurvedic medicine includes the use of Trikatu to encourage "agni" or digestive "fire"